Bonus Offer: 30% Welcome Deposit Bonus on every deposit. Maximum payout is $300. Do not participate in more than one ForexTime (FXTM) Promotions at the same time. 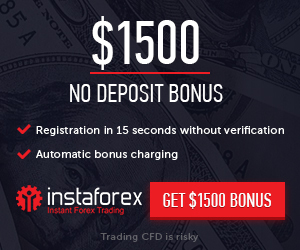 The 30% Welcome Deposit Bonus Promotion is applicable to all CFDs in Forex, precious metals and commodities only.